With almost 70 articles published, as well as requests from large TV channels, we can tell a story of extensive media coverage after the Kjus launch. 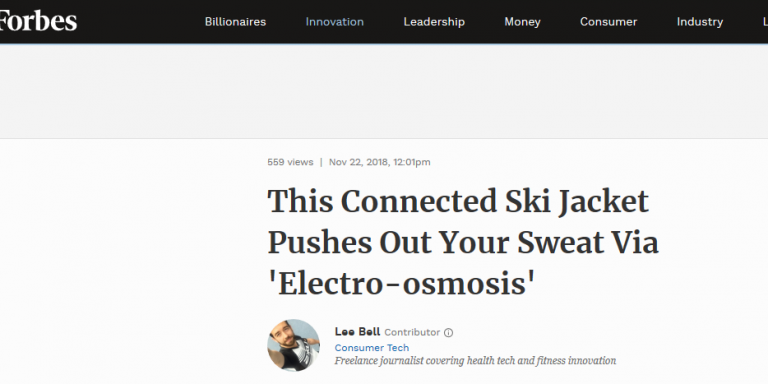 A vast variety of types of media houses has written about the world’s first ski jacket with an integrated electronic user-controlled membrane. Furthermore, ISPO TexTrends unfolds the mega trend in the sports and outdoor markets of thinking smarter, and explains how the “Kjus’ ski jacket which eliminates sweat at the touch of a button, is seen as a real game-changer in the industry.